Jurgen Klopp doesn’t think Coutinho returning to Anfield is an option short or long-term. 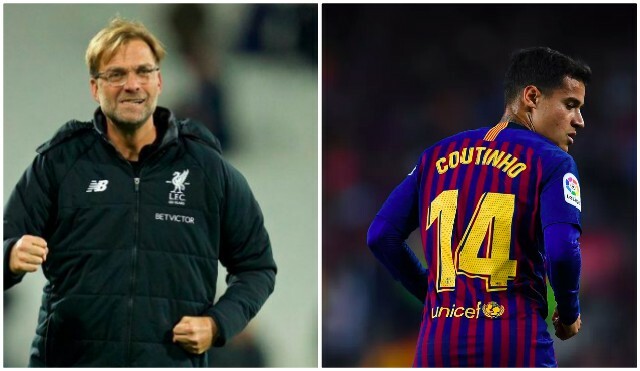 There have been suggestions following the Brazilian’s struggles in Spain this season that a romantic return could be on the cards, but Liverpool’s manager has pretty much quashed these. Klopp told the media that there is ‘no story,’ that Phil is happy at Barcelona and it’s simply not a ‘potential transfer’. “That is something I don’t want to talk about. I would not say it is a potential transfer or a likely one,” he said, reported in the 42. This was pretty much what we knew already, but Klopp has confirmed it! The club reinvested the enormous Coutinho windfall (which will rise to £142m) superbly, in bringing Alisson and Virgil van Dijk to Merseyside – and that pair has helped transform us into Premier League title challengers. Up top, we’re still an exceptional offensive outfit, even without Coutinho’s creative genius. It’s undeniable that we’ve improved in his absence, and any summer 2019 transfers will be new, exciting players and not recycled ones. A striker, left-back and an attacking midfielder would bolster an already talented roster.